Happy 2018! You are awesome! Because of your awesomeness, our end-of-year fundraising drive was a huge success! We were blown away by your generosity! Within little over a week, Madison Bikes supporters gave over $3000 -- well beyond our initial target of $1000. Together with the matching pledge from our board members, we raised well over $4500! This puts us on a very stable financial footing for 2018 and also allows us to consider additional activities to further our mission. We have several new board members starting their term this year (stay tuned for an introduction), and a strategic planning session in February will help us setting our priorities for the year and beyond. 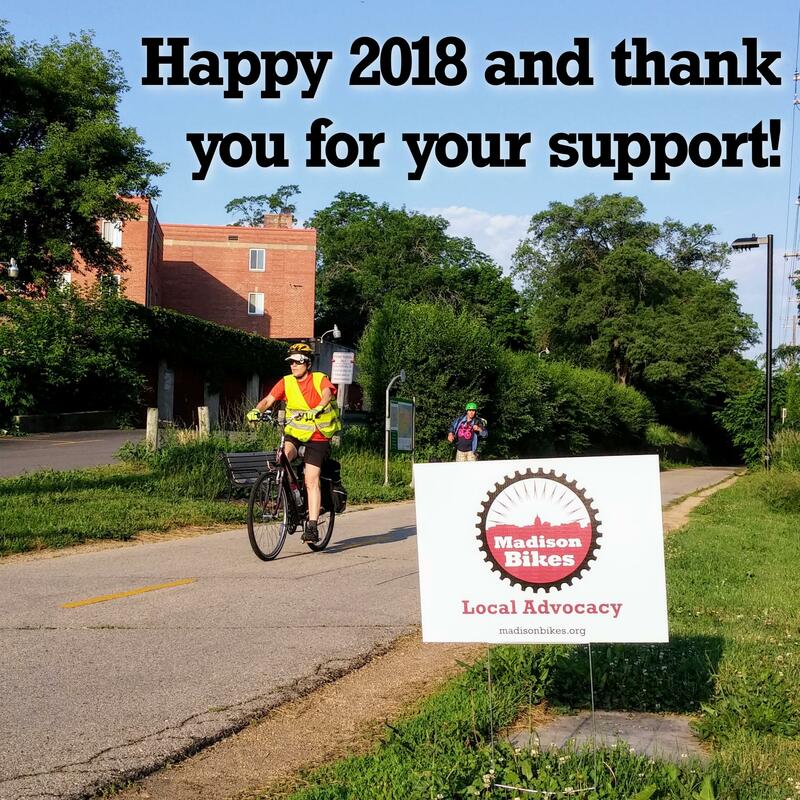 I am excited about another year of making biking better in Madison for everyone! Thank you for your continued support. PS Our Monday Update posts will return from their holiday break next week.